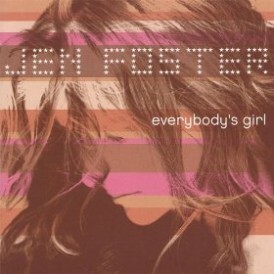 “Everybody’s Girl” was an early incarnation of Jen Foster’s work back in 2003, and her first official CD release. The listener is introduced to Foster through the catchy title track that has you singing the chorus from the first bar and followed by the up-tempo “Used Black Cars”. This solid and catchy pop album has undertones of country that simmer through most of her work. On this record those undertones are notable on tracks “Superwomen,” “Ready To Go” and “The One Who Got Away”. Posted February 13th, 2014 & filed under Entertainment.